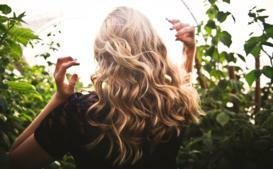 Mommy Authority › Practical Tips › Are There Any CLA Side Effects? Is It Safe? If you have ever found yourself browsing through the supplement aisle wondering what most of these products do and if they actually work, then you are not alone. 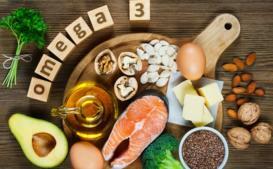 We live in a world where everyone tries to be a bit more health conscious and sophisticated terms like trans fat, polyunsaturated fat and omega 3 are thrown around in magazines, adverts and pamphlets. With all the new health trends and weight loss fads widely available on the internet and in the media, it is almost impossible to keep up. One common supplement you may have heard of is conjugated linoleic acid or CLA for short, however, how much do you really know about this fatty acid? If your answer is not much, then you have come to the right place. In this article, we will be looking at what CLA can do for you and of course the most important bit of information you need to know, are there any CLA side effects? Conjugated linoleic acid is a derivative of the essential fatty acid linoleic acid and is found in various vegetable oils and other foods such as beef and dairy products. Linoleic acid is the most common omega 6 fatty acid which essentially means that it is a trans fat, however, it's not the same artificial or hydrogenated trans fat found in processed foods like cake, pizza and margarine. The difference between hydrogenated trans fat and linoleic acid is that linoleic acid occurs naturally whereas artificial trans fat starts out as a vegetable oil but is then manufactured using hydrogen atoms to hold it's shape when it sits at room temperature - this is a big no-no when it comes to cholesterol levels and heart health. As mentioned before, CLA is found naturally in most animal products such as meat and dairy, particularly from ruminant animals. Ruminants are mammals which have a stomach that contains multiple compartments such as cattle, sheep, goats and antelope. Conjugated linoleic acid is created when microbial fermentation of plant-based foods occurs prior to digestion in one of the specialized stomach compartments called the rumen and is then stored in the muscle and milk of the animal. Since CLA is not naturally produced within the human body, it is essential to get it from your diet, however, if you do eat meat, it's best to look for grass-fed meat as animals who have been fed a grain-based diet contain significantly less conjugated linoleic acid. A study conducted on the effect of feeding methods revealed that the grass-fed cows had higher levels of CLA and omega 3 than those cows who had been fed a grain diet over a period of 80 days. This is because animals who graze on grass consumer higher amounts of omega 6 in comparison to those who graze on corn and other grains. When it comes to plant-based sources, white button mushrooms and pomegranate oil both naturally contain this fatty acid. On the flip side, a CLA supplement is synthesized by using sunflower or safflower oil. The Safflower plant has been used for centuries and is one of the oldest plants to have been used as a dye for several textiles. In more recent years, scientists have been dedicating more time and research to the safflower plant because they believe that CLA safflower oil has a variety of medicinal benefits including weight loss. CLA is natural and can be found in the milk or muscles of ruminants meaning animals who have multiple compartments in their stomachs. CLA is formed when the microbial fermentation of plant-based foods occurs prior to digestion within the stomach compartment called the rumen. It is important to note that animals who have been grass-fed have a higher content of omega 3 and conjugated linoleic acid than those who have been fed a diet comprised of grain and corn. Some plant-based sources of CLA can be found in both white button mushrooms and pomegranate oil. While CLA may be natural, there is another form of this fatty acid which is usually synthesized in a lab from the oil of a safflower plant. As briefly mentioned before, CLA safflower oil is commonly found in supplements. 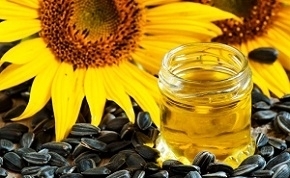 The oil is extracted from the seeds of the plant, however, there are many varieties of the safflower plant and each produces two different types of oils. It's important to note the difference especially if you are considering including more CLA in your diet. Oleic acid is made up of monounsaturated fats and differs from linoleic acid because structurally, it is an omega 9 fatty acid whereas linoleic acid is an omega 6. Since our bodies can produce oleic acid naturally, it is not essential to get this fatty acid from our diet, however, that does not mean that it is not beneficial to our health. 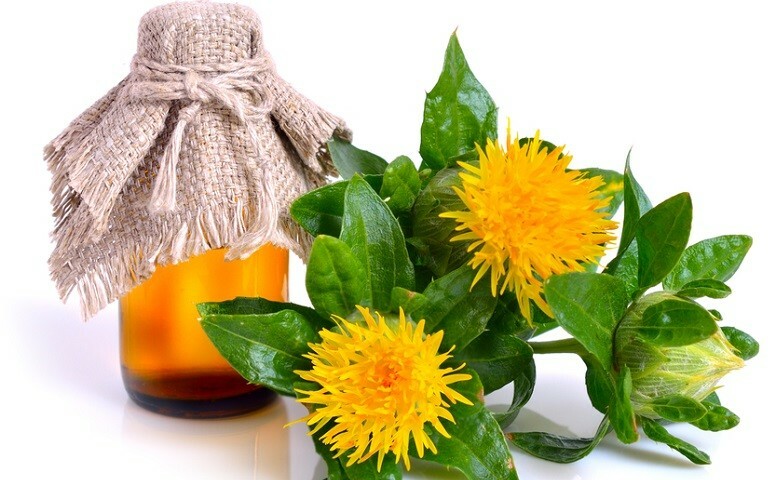 This type of safflower oil is commonly used as an alternative to conventional cooking oils because it can withstand high temperatures and since this oil does not have a potent flavor, it can be very versatile especially when it comes to cooking. High linoleic acid oil is made up of polyunsaturated fats and can contain up to 75% of linoleic acid. The linoleic acid is modified to create the specific isomers that form CLA namely cis-9, trans-11, trans-10 and cis-12. This form of safflower oil is typically what you would find in natural supplements for weight loss and muscle gain. While many people believe that these supplements are just natural safflower oil in capsule form, many of these supplements have been processed and modified to contain a higher amount of conjugated linoleic acid. There are many varieties of the safflower, however, it's important to note the differences if you are looking to include more CLA in your diet as each one produces a different type of oil. One variant is high oleic acid oil which is commonly used as an alternative to conventional cooking oils such as canola oil, sunflower oil and even olive oil as it has a lower saturated fat content. The other variant is high linoleic acid oil which comprises of about 75% linoleic acid and is typically modified to create specific isomers that make up CLA. This is usually what is found in a CLA supplement. Since more time and research has been dedicated to the study of CLA and CLA safflower oil, scientists are discovering more and more benefits of this fatty acid than what was originally thought. From weight loss to cancer, the impact of CLA on disease and ailments does seem promising. 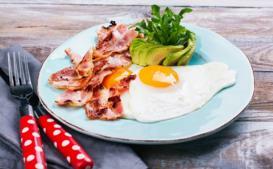 Here are a few ways in which this fatty acid can have a positive impact on your health. Asthma is a condition which causes inflammation and a narrowing of the bronchial tubes. 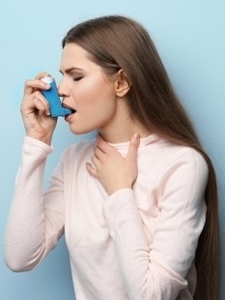 There are two common factors that cause asthma - allergic and nonallergic factors such as changes in the weather, colds and flu, stress or exercise. Another factor which needs to be considered is obesity, while this may be a fairly new concept, studies reveal obesity and asthma are linked as a result of inflammation. Since CLA is an omega 6, many believe that omega 6s are pro-inflammatory, however, there is not enough evidence to support that it has any drastic effect on elevated inflammatory responses, in fact, one study revealed that CLA may inhibit airway inflammation and allergic sensitization. Another study revealed that the use of conjugated linoleic acid as a dietary supplement showed a significant improvement of airway hyperresponsiveness in overweight asthmatics. The study also showed that the group who had taken CLA had a significant reduction in BMI and weight in comparison to the group who were taking the placebos. One of the most interesting aspects about CLA which has scientists fascinated is it's potential ability to suppress multistage carcinogenesis meaning that CLA limits the growth of a tumor at various levels in various places in the body. One study has also revealed that conjugated linoleic has an influence on tumors by changing the lipid metabolism in breast fat tissues meaning that it may reduce the risk of breast cancer. Beef? Butter? Weight loss? In the same sentence? Yes, we said it, CLA can help you shed a few pounds and help you maintain a healthy body weight. There are two mechanisms in which CLA seems to work when talking about fat stores. Firstly, CLA inhibits an enzyme known as lipoprotein lipase, this causes a reduced amount of lipid uptake into the adipocytes (the lipocytes and fat cells which store energy as fat). The second mechanism is that CLA causes a reduction in the accumulation of an ester called triacylglycerols in the fat cells. In simpler terms this means that CLA has the same effect as when the body experiences a shortage of food - the triacylglycerols are used as an energy source rather than stored as fat. Improves blood pressure and obesity-related hypertension. Improves HDL cholesterol and reduces the risk of atherosclerosis. Improves bone health and reduces the risk of osteoporosis. Improves the immune system responsiveness. There are a number of benefits when using a CLA supplement. CLA is more commonly known for its weight loss benefits but studies have revealed that it can potentially reduce the risk of cancer, high blood pressure and osteoporosis. Another benefit is that it has the ability to reduce inflammation and hyperresponsiveness in asthmatics. Conjugated linoleic acid is considered as possibly safe when taken by mouth as a supplement or by diet, however, it is vital that you stick to the recommended daily allowance and consult your doctor if you have any underlying medical conditions or if you are pregnant. As we are all unique, not everyone may experience the same benefits or side effects and therefore it is advised that you take caution and read the labels especially when it comes to supplements. Diarrhea - This is a common side effect as CLA may cause some abdominal and intestinal irritation. Diarrhea may also be accompanied by cramps, bloating and stomach pain. If you experience persistent diarrhea, it is vital that you consult your doctor as this may lead to severe dehydration. Fatigue - Since CLA causes a decrease in body fat mass, fatigue is one side effect you should expect to experience. If you feel increased fatigue or are struggling to remain active or concentrate for long periods of time, you may need to increase the amount of sleep you get every night while you are taking a CLA supplement. Nausea - CLA may cause some discomfort in your stomach, it can also cause you to lose your appetite or to feel some spells of nausea. If nausea doesn't subside or you are vomiting, it's best to contact your doctor right away. Blood Clotting - While CLA may slow blood clotting, it may also increase the risk of bleeding or bruising especially if you suffer from a bleeding disorder. Increased bleeding during surgery is also a risk associated with CLA, therefore, it's best to stop using it at least two weeks prior to the surgery. Liver Toxicity - While this is a very rare CLA side effect, there have been some cases reported of liver toxicity while taking a CLA supplement. While CLA is regarded as fairly safe to use, there are some side effects and risks involved with taking a CLA supplement especially if you have any underlying medical conditions or are pregnant. 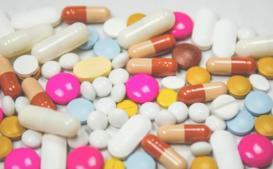 As with any supplement, it is vital that you consult a doctor first and read the labels carefully on the packaging. There are countless reviews available online which will also help you make an informed decision when looking for a reputable manufacturer. While science and technology have certainly made an impact on what we know about CLA today, there are still risks involved as with any other supplement on the market today. Conjugated linoleic acid has a variety of health benefits and the fact that there is so much research and conclusive results shows us that adding this fatty acid into our lives daily is essential, not only because our bodies don't produce it naturally but also because it decreases the risk of so many health conditions. On the other hand, it is also important to know that CLA side effects may cause harm to your health if you don't take the supplements responsibly. Always check with your doctor first before taking any form of supplement especially if you or your family members have a history of medical conditions.